Since the company’s beginning, Asheville Vault Service has grown from employing two people to more than 30 full time employees. We began with 2 vault forms and trucked the rest of our product in when needed, but now we have our own concrete batch plant and 21 vault forms. For the last two years Asheville Vault Service has been awarded the “Ultimate Service Provider” from corporate Wilbert in Chicago, IL which is the highest level of achievement awarded to a franchise. October 1, 1966 Asheville Vault Service was incorporated with principle officers and legal shareholders Roy C. Young and William C. Sword. Mr. Young was the Wilbert Licensee in Greenville, S.C., but owned the rights to 7 counties in Western North Carolina. In 1970, Mr. Young agreed to sell his share of Asheville Vault Service to Bill Sword. At that time Mr. Sword bought the Wilbert franchise for Western North Carolina. In 1977 Asheville Vault Service began its relationship with Aurora Casket Company when we became warehousing distributors for their caskets. Very shortly thereafter Aurora decided to realign their sales territories and we became manufacture’s representatives as well as delivery agents. In 1986 Asheville Vault Service began serving Western South Carolina with Aurora Caskets from the Asheville Service Center. In the early 1990s Asheville Vault Service purchased and staffed a warehouse facility in the Rutherford, N.C. area to support an expanding need for service in the area. In 1992 Bill Sword’s son, Taylor, began working full time for Asheville Vault Service and helped grow the casket business from doing fewer than 200 caskets our first year to a number in excess of 5,000 a year now. In 1995 we acquired American Vault Company of Candler, N.C.
Also in 1995 we built our current plant location in Candler, NC which sits on 11 acres and measures approximately 50,000 square feet. 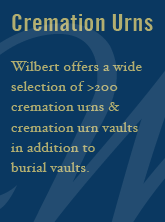 In 1996 Asheville Vault Service became a partner in Cremation Services of Western North Carolina and opened up a crematory on the property in Candler. In 2000 Asheville Vault Service expanded the casket bay to accommodate a growing customer need.